This stone must be the candy of the bead world - a feast for the eyes . There are so many luscious colors and delightful patterns . 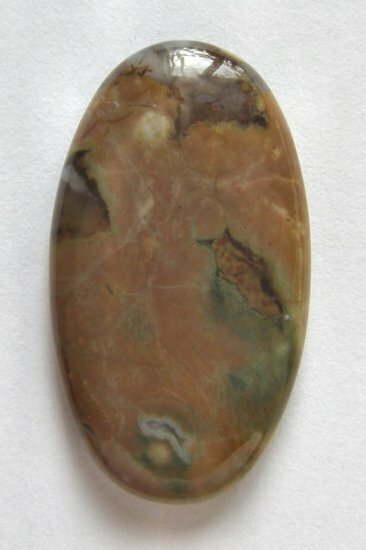 This bead has shades of green , terracotta , white , golden yellow with little clear "windows" . It is drilled lengthwise through the bead and measure 35m x 20mm and is 7mm thick . The bead in the photo is the one you will receive . Please view "terms" at the bottom of the page for combined shipping information .